There are foods and nutrients which research shows will help you control the progression of arthritis and the pain associated with it – specifically osteoarthritis. The good news is that the same foods, nutrients and modifications in lifestyle will also reduce your risk of heart disease, stroke, diabetes and sexual dysfunction – because there is a common denominator in all these age-related diseases …..…… inflammation. One of the most important findings from medical research in the last 10 years is that ‘chronic sub-clinical inflammation’ is a key cause of most disabling diseases. Arthritis is defined as inflammation of the joints [any disease ending in ‘–itis’ is an inflammatory disease]. Reduce inflammation and you slow the progression of arthritis and reduce the typical pain in shoulders, knees and joints generally. broccoli, asparagus, beets, mushrooms, chard, spinach and cabbage. To these anti-inflammatory foods add spices like turmeric (curcumin), ginger, basil and chilli. 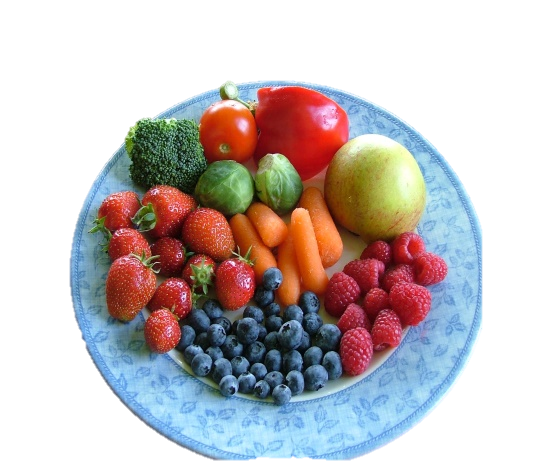 Fruits and vegetables are good sources of flavonoids, and carotenoids with anti-inflammatory and antioxidant properties. Generally the more (natural) colours there are on your plate, the higher the anti-oxidant and anti-inflammatory content of your diet. Your body uses fatty acids from the food you eat to make certain important hormones. Omega 6 fatty acids – found in polyunsaturated plant oils like safflower, sunflower and corn oil – are used by the body to produce hormones that promote inflammation. Omega 3 fatty acids (from oily fish) have the opposite effect – they are used to produce hormones that reduce inflammation. Today we consume foods containing far too much Omega 6 fatty acids – partly as they used extensively in processed foods, because they are cheap. As a result, the body is forced to use too many omega 6 fatty acids to build cells, tissues and hormones – and the balance in the body becomes pro-inflammatory. Other pro-inflammatory foods include sausages, burgers and processed meats, sugar, and refined white flour baked goods and potatoes – which are metabolised like sugar. The third priority is to choose an anti-inflammatory supplement. JointShield is specifically formulated to combat the progression and pain of arthritis. But there is even more you can do to ensure your body has a nutritional status that is highly hostile to inflammation. The American Cancer Institute now recommends 9 portions of fruit and vegetables a day –because they recognise that such an intake provides you with a significant level of anti-cancer and anti-inflammatory compounds. If this is too much for you, we suggest you switch to a nutritional supplement like NutriShield www.nutrishield.com. Nutrishield includes, not just the conventional vitamins and minerals, but also potent anti-inflammatory compounds such as Omega 3 fish oil, curcumin, green tea and grapeseed flavonoids. Rub joints for roasting with thyme and/or oregano which helps counteract these compounds. Meats are best slow cooked, stir fried or sautéed quickly in thinner cuts. It’s best to steam or microwave vegetables. Several studies have shown a clear link between “wear and tear” osteoarthritis and a high body mass index (BMI). Since this link appears to include joints which are not weight-bearing, it is probable that the extra fat-tissue may be a contributory cause of arthritis, probably because fat – and especially fat around the stomach – releases inflammatory toxic chemicals. 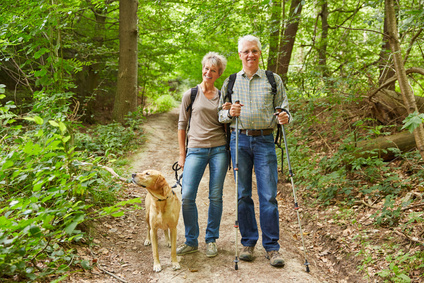 Physical activity protects joints by keeping the muscles strong and keeping you mobile. It is also helps manage pain and stress and maintain a healthy weight. These recommendations will all contribute to your overall health – unlike the Non-Steroidal Anti-Inflammatory Drugs (NSAIDs) which can cause diarrhoea and sometimes even ulcers and bleeding from the gut. And certainly try to avoid the Cox-2 inhibitors that may increase the risk of cardiovascular disease and elevated blood pressure. 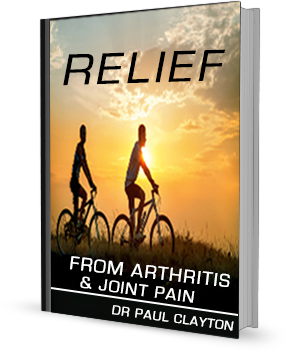 For more information on how an anti-inflammatory diet can not only counteract the progression of arthritis – but improve every aspect of your health, get this short but eye-opening book now.